If you asked me which are the top 3 things – in terms of style – I look at when I first meet a person one of them would definitely be the shoes! I haven’t decided yet on the ranking but shoes would definitely be in the top 3. Even if you think that people don’t pay so much attention to your feet- and that makes quite sense since we usually look first at someone’s face – you should definitely do it. Because I bet, I’m not the only person on earth that loves nice shoes! Also, style is not fixed with a single item but with a combination of them, so if you want to be a hot and stylish man you have to be it from top to toe! So, if you love being in fashion as much as I do, listen up and then you’ll be something else! As you might have already noticed, I’m not going to talk about clothes, since I’m sure that the majority of you guys have some really classy outfits in your wardrobe, but I’m going to focus on shoes, not any pair of shoes, but of high quality, chic and beautiful shoes. Because, believe it or not, our shoes make a statement. And you surely want to make the strongest one for yourself. But let’s clarify something first… When I’m speaking of good shoes that doesn’t mean expensive shoes but of shoes made on the basis of exceptional quality, comfort, fit and style at a great value for money; and the top destination to get all of this qualities at any item is NunnBush.com. 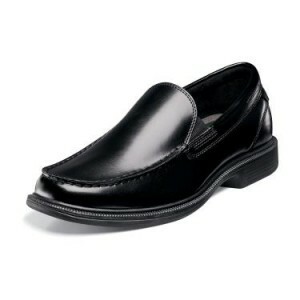 Nunn Bush has a great variety of shoes for modern men based on classic values. Because of the variety of products and offers, I’ve picked up just for you the top deals for my favorite shoes; and since I’m girl, I mean the ones I’d love to see on someone. March is approaching and it is that time of the year that everyone’s wardrobe and shoe collection needs an update. Even if you won’t be able to wear your brand new pair of shoes at the same moment that you get them delivered to your home, it’s so uplifting to have them in your dressing room to remind you that spring is so close. It definitely works for me, so why don’t you try too? So, first off, I’ll share with you my top picks for the new season. But before we start, keep in mind that you can buy any pair of shoes from the new arrivals section and save big with the Nunn Bush 20% off new arrivals promo code. I’ll start with my favorite, which I also just ordered for my boyfriend- I can’t resist shopping for good stuff even if it’s not for myself! And that’s the Nunn Bush Outrigger lace up shoe with boat shoe characteristics. It comes in two versions, the one is brown and the other is the navy brown combo which is the one I’d propose for spring and summer since it can be perfectly matched with navy style clothing- also one of my favorites! Now, if you want something similar but with no lace then you can go for the Nunn Bush Outboard shoe which is evenly comfortable and stylish and it also comes at the aforesaid color combinations. A formal outfit can be made up in many ways, but sometimes you can only add an extraordinary accessory or just a nice pair of shoes to change a morning outfit to a formal outfit. Nunn Bush can help do that with a selection of gorgeous dress shoes that have the absolute classic elegance you expect from a formal shoe but with a modern twist that makes it suitable for all ages and men’s types. So, if you have to attend this corporate party, your best friend’s wedding, make this so-important presentation or even go to this posh restaurant for dinner, you can do it in style with the Nunn Bush Beacon St shoe. Beacon St model is a Venetian style loafer in black, made from leather and with a Density Kore Technology midsole, that promises the highest degree of comfort. 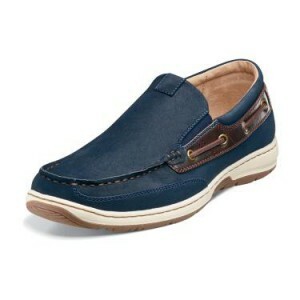 Now, you can get this beautiful pair and save big with the Couponology exclusive 10% off promo code. 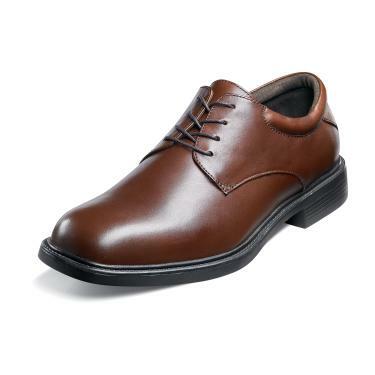 Another very nice formal shoe is the Maury plain toe dress shoe in a very easily matched brown shade made with Comfort Gel Construction that will make you feel as wearing no shoes. This one comes with a $15 discount and it is available in black too. Finally, no matter whether you are looking for a derby shoe, a loafer or even an all- terrain shoe, Nunn has all you need not only in terms of style and fashion, but also in terms of comfort, quality and of course price. Because we said that again, the degree of quality does not always have to be related to price. Last but not least, remember to always use the incredibly saving coupons and promo codes from Couponology that promise to make your shopping experience even more joyful than it already is! My husband always asks for a pair a shoes and I love how I can save a little extra to buy him another! He’s going to be so pleased to receive not one but TWO boxes of shoes. Fantastic!